Lord Saatchi is proclaiming his consultation into the new Medical Innovations Bill a resounding success with “a staggering 18,655 people” supporting his bill and “fewer than 100 were against it.”. Saatchi plans to use his Bill to sweep away a fear of litigatation and “defensive medicine” so that doctors can be free to try new treatments of the dying without fear of the courts. Last week I wrote about how I feared this Bill was a Quacks’ Charter as it would sweep away essential protections patients currently have. In democratic politics, perception is reality. If the people perceive a problem, there is one. There speaks the marketing man and politician. And so far, the team behind the Saatchi Bill have been enormously successful in their PR campaign to persuade all that there is a problem – a lack of medical innovation in cancer research – and that Maurice Saatchi has the answers. No matter how good Saatchi’s PR has been to date in persuading all of the need for his Bill, peoples’ lives will depend on the reality of what the Bill will mean rather than the perceptions of it. So, the Bill needs looking at dispassionately and carefully for it will have enormous consequences one way or another. Saatchi does not mention what the objections of the tiny 100 dissenters were. In a stroke of good PR, these few voices are made to look out of step with the thousands of patients, relatives of the bereaved and the ‘man and woman in the street’. But those 100 voices included some voices that most definitely should be heard. I would like to explore this issue. Let me take the example of a conversation I had with one supporter of the Bill. I asked for evidence of an innovative treatment denied to a patient because of the problem of fear of litigation. I was given the example of a child with Duchenne Muscular Dystrophy being denied Viagra as it is thought that this might strengthen the heart. Now, I am not going to go too much into the details here, scientific or personal, because it is the general principle that needs to be discussed. DMD is a degenerative, muscle-wasting disease that mostly affects young boys and can lead to premature death before the age of 30, often by damaging the heart. Viagra, or Sildenafil, is a drug that is licensed on the market for very specific health conditions (I won’t go into this as you may have received one or two emails detailing this in full.) As such, knowledge of its effects, beneficial and harmful, are most understood for certain groups, e.g. for men of a certain age with specific problems. Outside of these groups, no-one can be confident of its effect and safety. 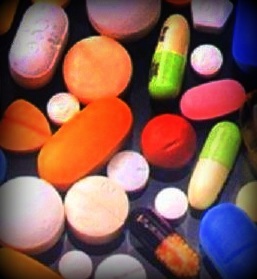 But some think that the drug, as it improves blood flow may help to reduce fatigue and help the heart. Studies in mice show promising effects in delaying the onset of symptoms and normalising heart function. But will it work in human children? It might do, but animal studies do not always transfer easily to humans. Some think that it might harm and speed up complications. The only way to find out is through fair tests of the drug on appropriate children – a randomised controlled trial. If a doctor were to just give a child with DMD viagra outside the scope of a trial, there would be no way of establishing if that ‘innovation’ had any positive effect. If the child did well and the disease progressed slower than average then the drug might have had an effect or it might be that this particular child was on the luckier side of the distribution. Some children will stay healthier longer. This Saatchi innovation will not add to any significant medical knowledge that could help other children. Perhaps one doctor may look at dozens of Saatchi children here and see how they do. But, firstly, the Bill as it stands prohibits patients being used for research under these proposals – and collating results for analysis would be research; but secondly and more importantly, this would not be a controlled trial and so causation could not be established. The researcher could never know if the group of children were similar or different to a group of children who had not taken the ‘innovative’ treatment. Those parents pushing for Saatchi interventions might be also pushy and more proactive in other areas of their child’s life, leading to systematic difference. These sorts of problems plague medical research and the only way we know to eliminate them is through proper double-blind randomised controlled trials. But in a Saatchi Innovation Medical World, how do we recruit children into such trials? Such trials have their own ethical issues. How would you feel if you child was to enter one knowing their was a 50/50 chance that they would just receive a placebo? I could well understand the pressure for parents to want to eliminate that risk and plump for a Saatchi Intervention rather than the trial. Then, at least, if Viagra did improve outcomes then my child will definitely benefit. And therein lies the dilemma and the way Saatchi could undermine vital research into innovative medical treatments. The parent’s choice above was an illusion. It is also likely that the child would have been better off with a placebo as the tested treatment might actually have bad side effects or even be counterproductive. But the allure of an active and new intervention in such a devastating condition must be overwhelming. I am sure I would feel such pressure if my child was involved. The Saatchi Bill introduces a torpedo below the water aimed directly at clinical research. However, at present the campaign to get the Bill backed by the government is run as a PR exercise and appears to be ignoring a vast swathe of serious medical and legal opinion. The Saatchi Bill team say they are redrafting the Bill to take on board criticisms, but I have yet to see any of its supporters acknowledge and understand the serious nature of the concerns that people have. I fear that this redrafting is a fig leaf and the Bill will progress pretty much in its current form. To address the current criticisms would make the Bill so weakened as to be meaningless and would be an admission that the whole enterprise was misconceived. I anticipate a bloody fight between the medical research world and Saatchi and government will ensue. Evidence is the hall mark of good, modern science. Let us see the evidence Saatchi has that doctors fear to innovate. So, unless or until Saatchi provides the evidence he should be politely thanked for his interest, and that’s it. Except he is a Master of Spin. Please ask him to enter the 21st century. I qute agree Mr Rawlins but what medical basis has Saatchi for saying what he is saying. If the new medicines that are to be tested are beneficial to the quality of life of the people they are being tested on then by all means let this testing happen otherwise I see the whole exercise as point5less. I like Saatchi am a medical dunce but as I am in the possession of several conditions that without the correct medical treatment are fatal. As a consequence of this I feel I have qualification to comment on my feelings on this subject. I hasten to add that I most certa\inly do not agree with Saatchi’s misguided comments. As Professor Michael Baum pointed out – innovations go on all the time, and doctors are not inhibited from trying anything. They are simply expected to have a plausible justification for what they do (not faith), and if experimental, that patients are part of properly organised trials. That is the nature of science. It’s hard work but should not be short circuited. This is to be contrasted with the practice of some doctors, and all quacks, who simply try remedies, use treatments, apply unidentified flying energies, bizarre compounds of indeterminate constituents, and fail to conduct proper trials from which we can all learn. Mr. Quack has emphasised the dangers in Saathchi’s bill removing the protection patients presently have from the attentions of dishonest healthcare criminals and leaving vulnerable patients open to fraud. Saatchi is being disengenuous when he claims doctors are inhibited from trying any reasonable treatment (with the fully informed consent of patients). They are not. At present testing (trials) can happen, and does. Many alternative practioners (all?) simply do not put the work in. Hahneman’s ‘prufung’ simply meant ‘testing’ in German (though he did not use controls or publish his data). Modern homeopaths use the the term to mean ‘proof’ – which it ain’t! (And which is not a correct translation of the German). I do hope you continue well, and record your adventures so we can all learn. Another problem with the Bill is that not only does it destroy the chance of trials for a lot of innovations, it also allows any doctor to use anything that he or she believes will help, regardless of whether his or her peers would reject it. Think about that for a moment. A patient with end stage heart disease could be treated with chelation therapy, which is known to a high degree of certainty not to work, just because the doctor believes it will. That patient will be subjected to a risky and almost certainly worthless treatment, and the doctor will collect anecdotes with which to bolster belief and promote further treatments, ignoring the failures as “too late”. We know this is what will happen because it already happens in the US. The doctor will also collect a fee. Well, actually sildenafil is used in children with pulmonary hypertension. Must have been a mate of Maurice Saatchi’s that thought to have tried this “off licence” in kids in the first place.